Left eye shows CRVO with severe edema. The right eye has multiple small hemorrhages. 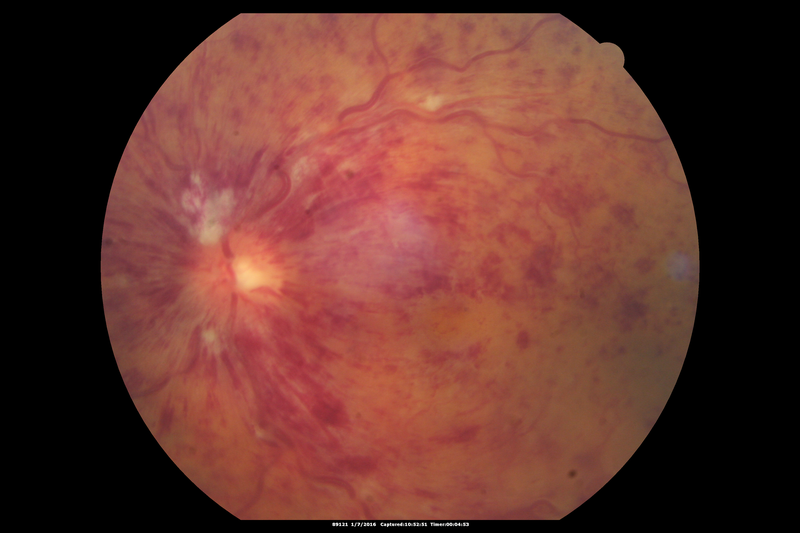 Some of this is probably anemic retinopathy and some from hypercoaguability of cancer. The patient has pancreatic cancer.